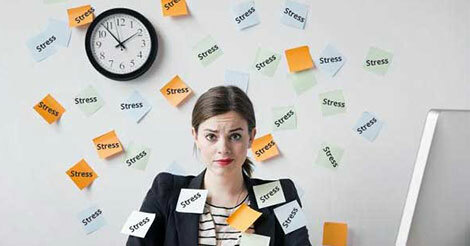 Stress has kind of become a part and parcel of today’s hectic and mostly unhealthy ways of living. Apparently, the possibility of not getting it at all is unlikely, but we can surely do a lot to minimise it. To begin with, first you have to figure out what's making you stressed? Is it your job, a family matter, or something else? As a primary step to manage it, identify the cause. The mantras for effective stress management are threefold - being in control of the ‘situation’, building emotional strength, and adopting a positive outlook. Physical activity can get you in the right state of mind in identify the causes of your stress and also in finding a solution for it. Though exercise won’t make your stress disappear just with a snap of fingers but it will definitely reduce the emotional intensity, will clear your thoughts and enable you to deal with your problems more patiently. There is always a solution to every problem. If you keep on thinking passively that you can’t do anything about my problem, your stress will get worse. Take control of the situation. This will empower you and is a crucial part of finding a solution. ‘A problem shared is a problem halved’ - this adage is so apt for the stress eliminating situations. A good support network of colleagues, friends and family can ease your work troubles and help you see things in a different way. Being with friends and sharing a good laugh sometimes prove to be excellent stress busters. Relying on alcohol, smoking and caffeine are the worst soothing agents to distress. These unhealthy practices will never solve the problem rather will create new ones. It might provide temporary relief but the effect would be short lived and unhealthy. People who help others become more resilient. Helping others who are often in a situation worse than yours might help you see your own problem with a new perspective. Do a good deed every day. It could be as small as helping someone to cross the road. Good time management and efficient work prioritisation gives quality work. Slogging on for longer hours will make the task dull. Try to concentrate and finish the work within a set time. The feeling of accomplishment will distress automatically. Look up to the positives in life and things for which you are happy and grateful. Make a conscious effort to be more positive in life. Believe in “if no one can do it, I WILL do it” attitude. Changing a situation up side down isn't always possible. Recognise and accept things as they are. Focus on things you can do best in that situation. Stress has adverse effects on an individual's health. You need to follow these health tips to stay mentally and physically fit. These easy stress management tips come handy to cut down the stress and anxiety from your day-to-day life. 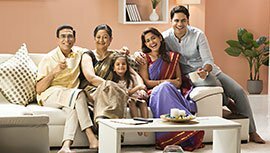 In addition to this, you should also go for the preventive health check-up packages, which help you understand your physical health as physical and mental health, are two sides of one coin. The complete body checkup is helpful in this case as it will examine your health and will warn you in case any problem. To get in touch with Indus Health Plus, fill up the query form.